Monitor, Measure & Manage Your Facility Maintenance Management With CMMS To Enhance Customer Service & Day-to-Day Operations. We understand the need to transform your Facility Management Service business digitally and enhance your Equipment, Customer satisfaction and Workforce. Introducing InnoMaint Cloud Based Software that cater all your FMS business specific needs. 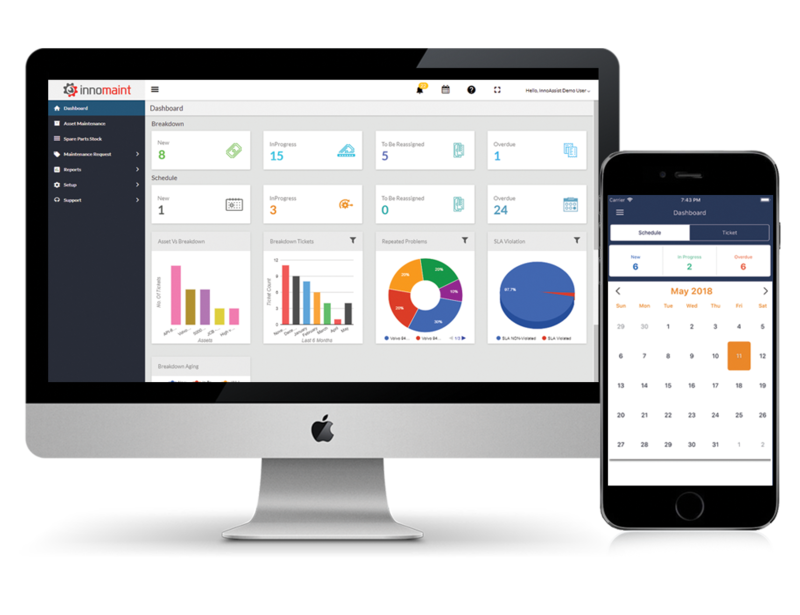 Innomaint is a cloud-based Facility Management Software that monitor, measure and manage all your maintenance activities, service technicians, and execution of the workforce from anywhere, at any time through web and mobile applications. Mobile app for your service technicians to get Instant notification of scheduled preventive maintenance tasks and new service requests. Monitor by measures including performance of the equipment, workforce productivity, PM compliance, overdue tickets & SLA violations. 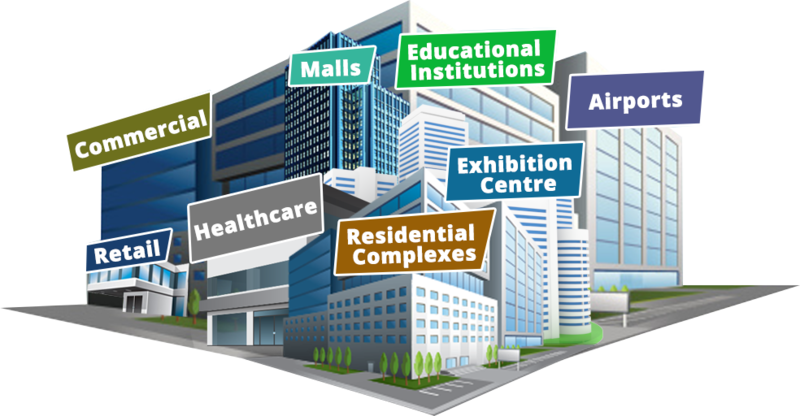 It helps to manage the maintenance of HVAC system, Plumbing, Electrical, Mechanical, Fire protection, Security & Safety. Get Your Free InnoMaint CMMS Now! Service request can be initiated for an AMC customer or Non Contract customer. Service request can be assigned to technicians based on the service category.